A personal past. Everyone has one. And sometimes they are not very great. A family past. All families have one. And sometimes they are not very glorious. It has been said that all happy families are alike; but each unhappy family is unhappy in its own way. The following quotes may underscore this idea. We know that when the disease of addiction enters a family system, insidiously and progressively everything changes. In fact, the English word “addict” was initially used to denote a sense of being obligated or formally bound to someone else. The word eventually took on the reflected meaning of being attached to something through one’s own inclination. Quite often both of these definitions fit a family dealing with addiction. The addict is attached to something (drugs and alcohol, sexual compulsivity, disordered eating, etc.) while family members become bound (addicted) to “helping” the addict. Each member uniquely dances with the disease; it is a slow dark dance of distraction, destruction, and despair. Many family members earnestly seek the day their loved one enters treatment. But will everything within the family be resolved if the identified patient goes to treatment? What support is available to the family after a successful or not-yet-successful intervention? Often, the heartache from the past remains and feels like needle-pointed thorns festering just under the surface. Imagine a family of porcupines on a cold night. They want to snuggle for warmth and comfort, but as they huddle closer together, they end up hurting each other… again. “Because of my family’s willingness to participate in an intensive workshop, we have finally broken generational cycles of addiction and loss. My children will have a different childhood than mine." 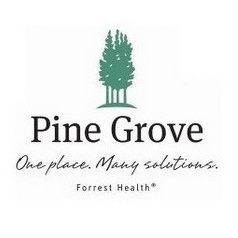 Pine Grove… One place with many truly unique solutions. We look forward to working with you! Caroline Smith received degrees in psychology and professional counseling from Ottawa University. She has certifications in trauma, abuse, deprivation, chemical addictions, and sexual addiction counseling. She has worked at The Meadows Treatment Center as a Family Counselor, Primary Counselor, Survivors Workshop Facilitator, Community Relations Representative, and Special Assistant to the Clinical Director. Within this program, she worked with individuals notable in the field, including Patrick Carnes, John Bradshaw, Claudia Black, Terrance Real and Pia Mellody. Ms. Smith then went on to join the professional clinical staff at Remuda Ranch Treatment Centers for Anorexia and Bulimia in Wickenburg, AZ as a Primary Therapist working exclusively with adolescent females and their families. She specializes in the field of eating disorders, trauma, and co-morbidity.